For scopes with up to 50mm diameter lens. Fits 15mm wide dovetail rails. 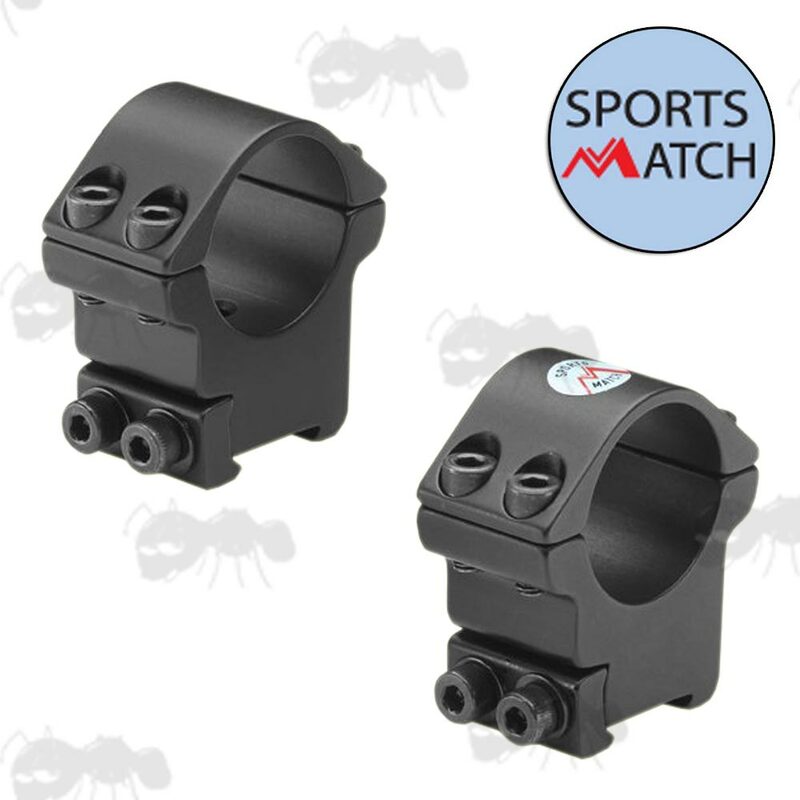 The first range of mounts suit Tikka 15mm dovetails and early Brno e.g. model 2 .22 rifles. 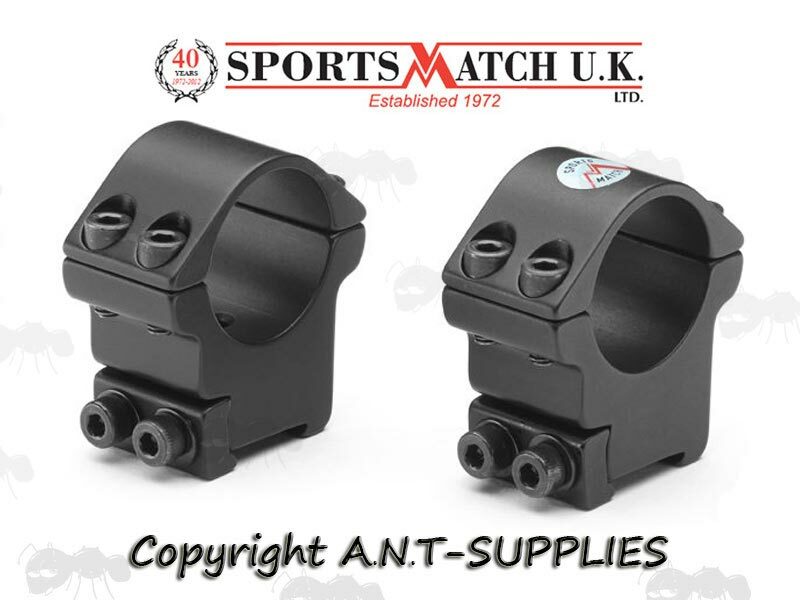 Includes arrestor pin to suit Tikka T3 & T3x rifles. Also fits Tikka M55, M65, M595, M695, M695 Magnum. 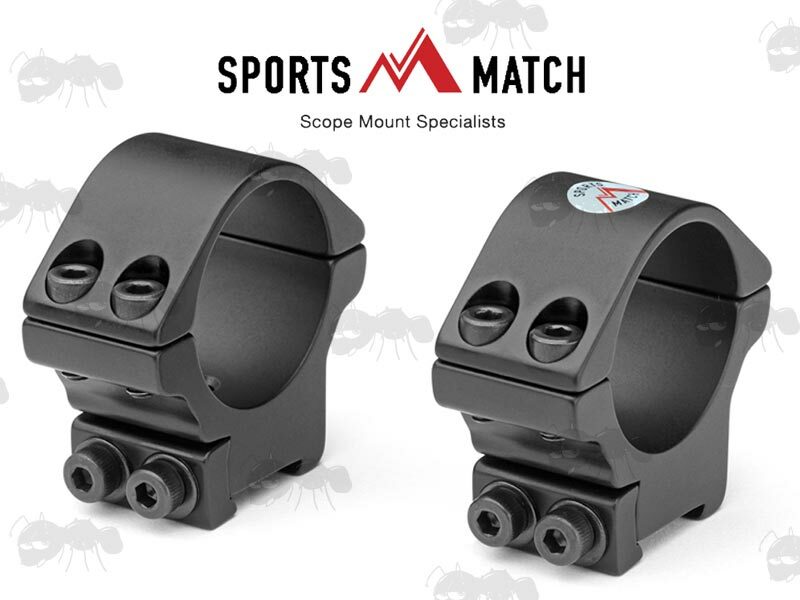 The second range of mounts suit CZ 15mm dovetails such as CZ527 / Brno Model 1 / 2 & Fox. 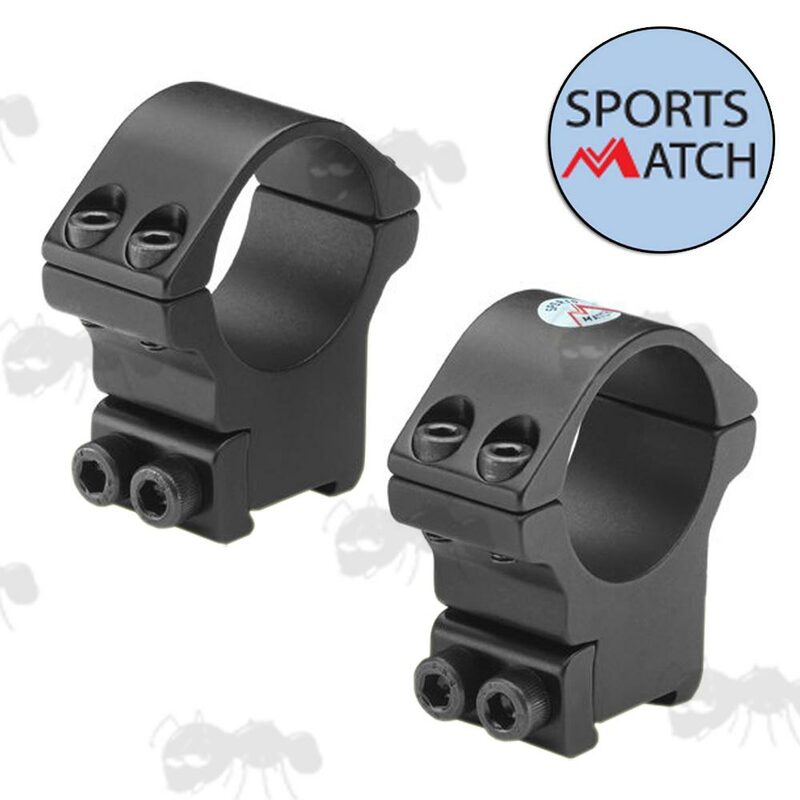 Double clamped, 21mm thick scope mounts for non-standard dovetail rifle rails. Allen keys included for securing scope, mounting and one for the arrestor pin. Also available ~ 15mm Tikka / CZ to 11.5mm dovetail adapters. Suitable 15mm dovetails e.g. 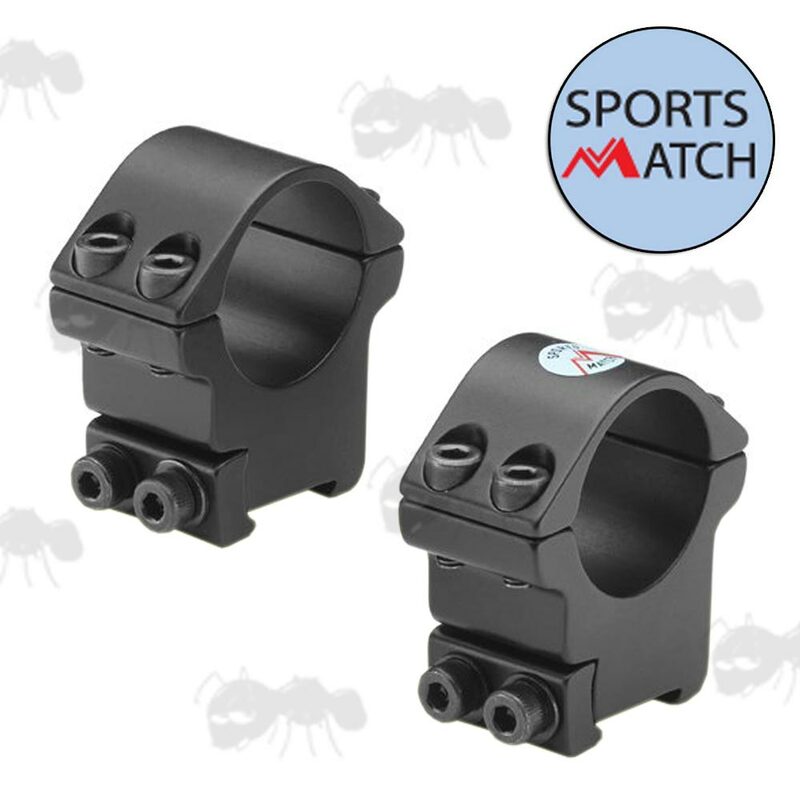 CZ527 & Tikka T3 will measure approximately 17mm at the widest point (top). 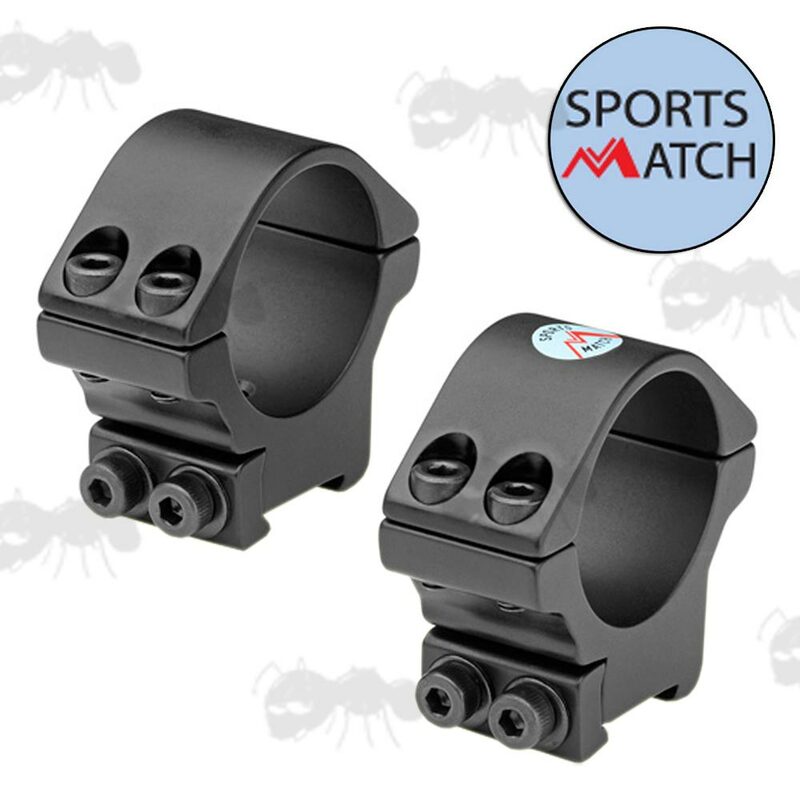 The maximum is 40mm objective lens for Brno model 1 / 2 .22 rifles (guide only) due to rear sight clearance. 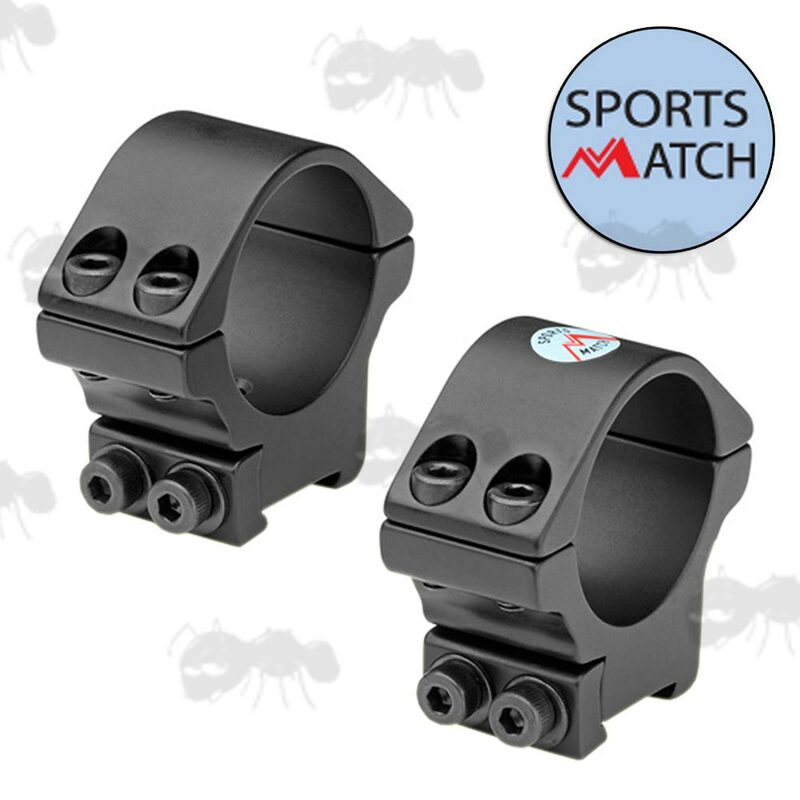 They will probably not fit older BSA air rifles, as the flat profile bases will not fit the curved cylinders, such as on some of the Meteor MK1's, but you can file the base of the mounts to match the rail profile.